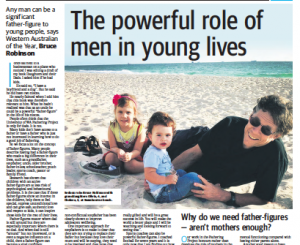 Any man can be a father-figure to young people. We have heard many stories of children whose lives were changed because they had such helpful father-figures. First seen in the Weekend West, Perth on 8 June 2013.